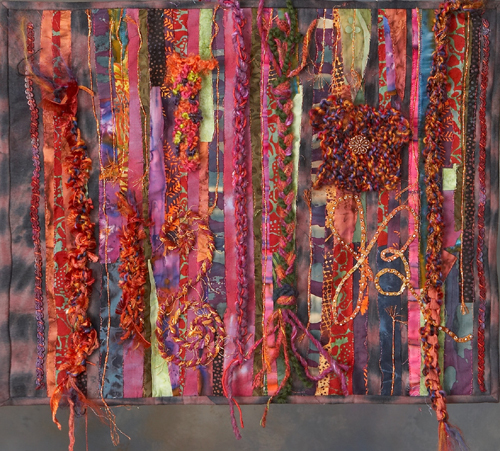 An experimental piece involving scrap background strips, sewing, crocheting, knitting, twisting, coiling and braiding. One button and lots of beads highlight the finale. What fun!